Turkey closed its Armenian Border and suspended the relations between Turkey and Armenia as a consequence of the Armenian occupation of the Azerbaijani territory of Nagorno-Karabagh, in 1992. Recently a protocol between the Turkish and the Armenian governments has been signed, which may lead to the opening of Borders and normalizations of relations between the two nations, if approved by both nations’ parliaments. To the best of our knowledge, the protocol agreed by the two sides does not have any provisions that indicate that Armenia has promised to meet any of the conditions Turkey has put forth for opening of the Armenian Border and normalization of the relations between the two nations. Quite the contrary, the Armenian Foreign Minister Edward Nalbandian has recently stated that normalization of the relations between the two states should have no preconditions, and that Turkey and Armenia have a mutual understanding to that end. Drop false “genocide” claims against Turkey that go back almost 100 years and agree to the establishment of a joint committee of historians, as proposed by Turkey, to study and judge the 1915 events. As Turkey has declared it would do so, Armenia should declare that it would consider the findings of such a committee binding. 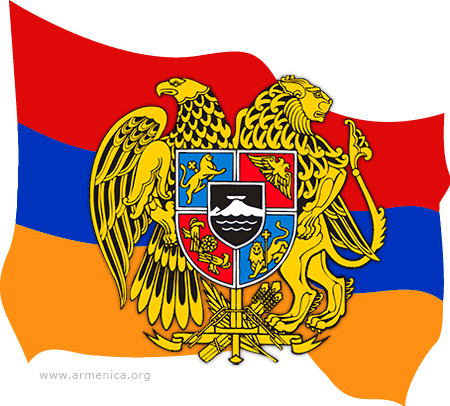 Remove indirect reference to a Greater Armenia in its Constitution by amending Article 13 of Chapter 1 that describes its national coat of arms. With regard to items 3 and 4, note should also be made that in its Declaration of Independence in 1990, Armenia declared its support to false “genocide” claims against Turkey and has referred to Eastern Anatolia as “Western Armenia,” and as such, considers this area as part of Armenia. That is not a friendly posture toward a neighbor. TurkishPAC continues to view with apprehension the Turkish Government’s signing a protocol with Armenia, which will lead to opening the border and normalization of the relations between the two countries without any preconditions.